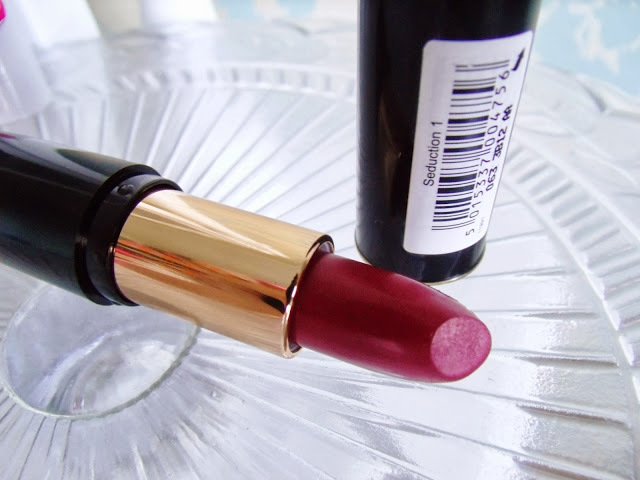 Berry shades are popular for autumn, and I personally love these shades as lipsticks. 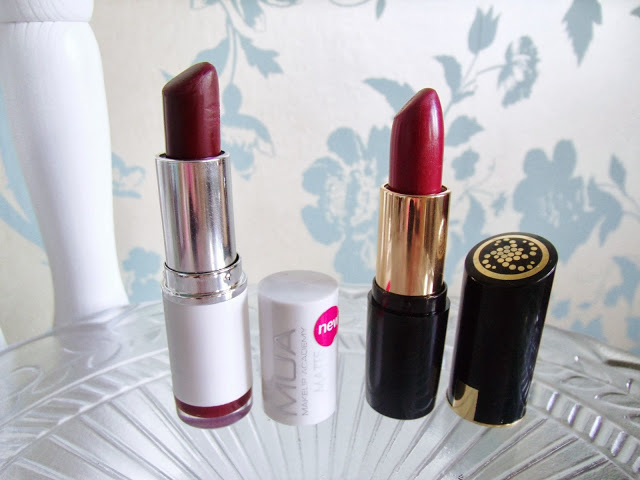 I recently bought these two bargain lipsticks from Superdrug, so I thought I’d share them with you because they’re such a good deal, at less than £3 each! 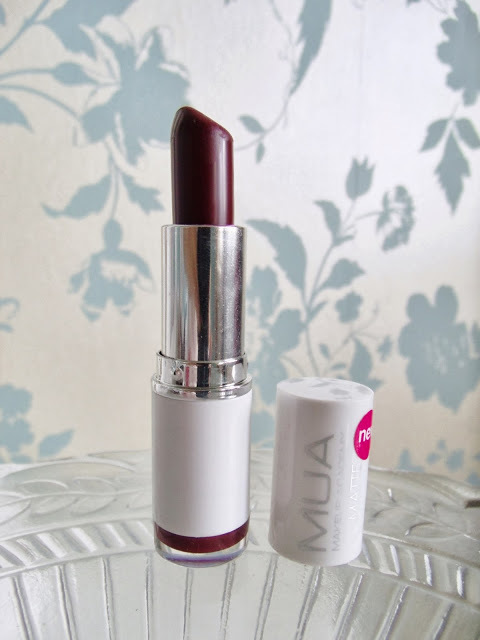 First is the MUA Matte lipstick in Wild Berry; it was only £1 from Superdrug, and it’s a new release. 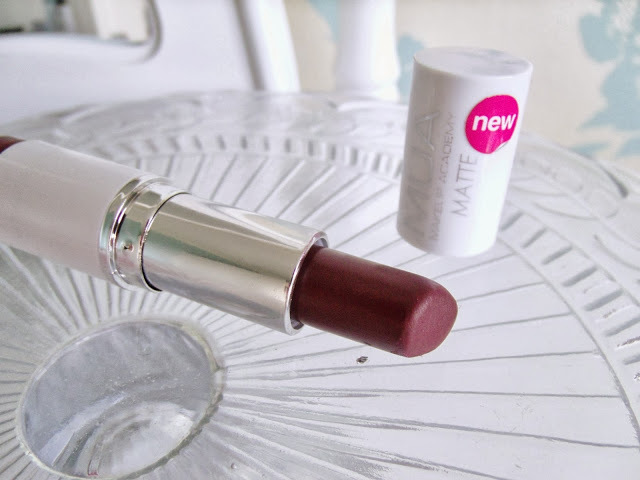 Their new matte lipstick range comes in 5 shades, and I picked this one because I felt it was a shade that I didn’t have something similar to already. 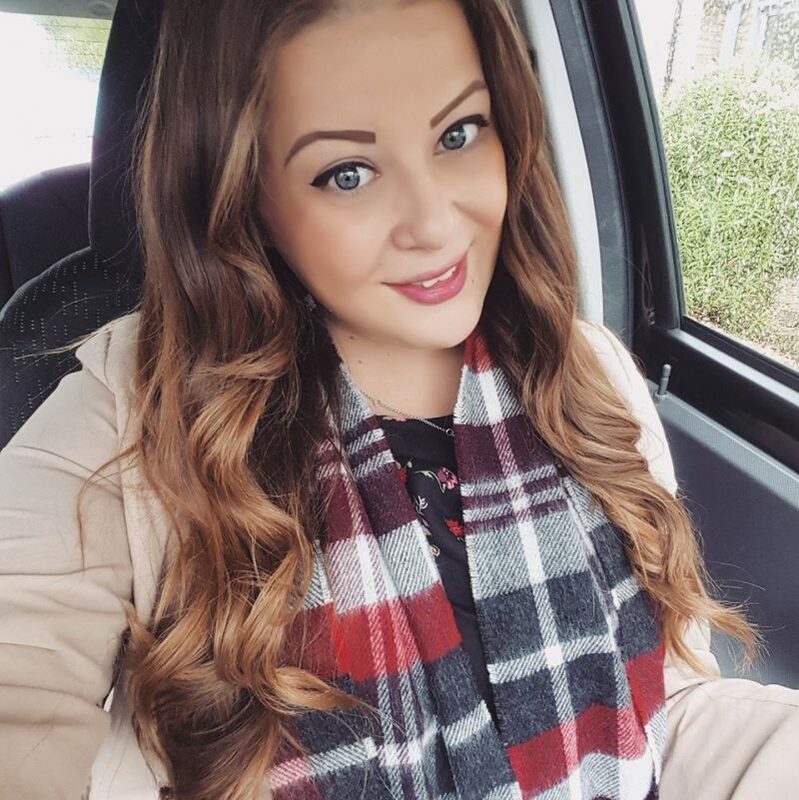 I’d not tried a matte lipstick before, but I’ve been using it daily and I find that the matte look makes it more suitable for daytime wear. 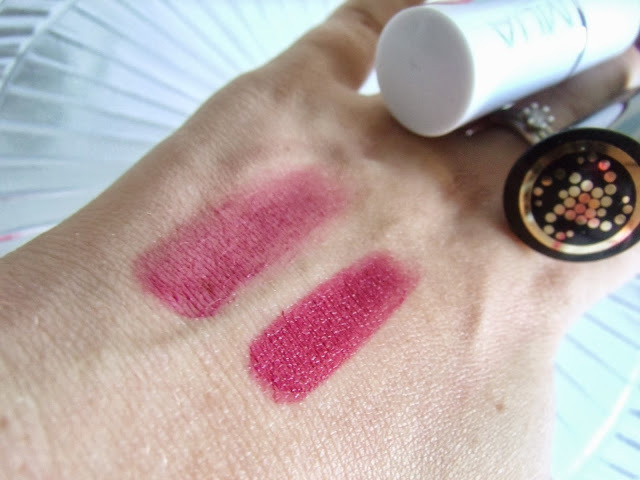 The colour comes out a deep reddish purple, and although I love the colour once applied, I find it drags on my lips, so it’s not very easy to apply. I’ve found it goes a little bit patchy, and then I go over it in lipbalm to smooth the colour out, kind of going against the whole matte concept! I do really like the colour though, and it’s reasonably long lasting, and for £1 it’s certainly worth adding to your basket as a handbag essential. 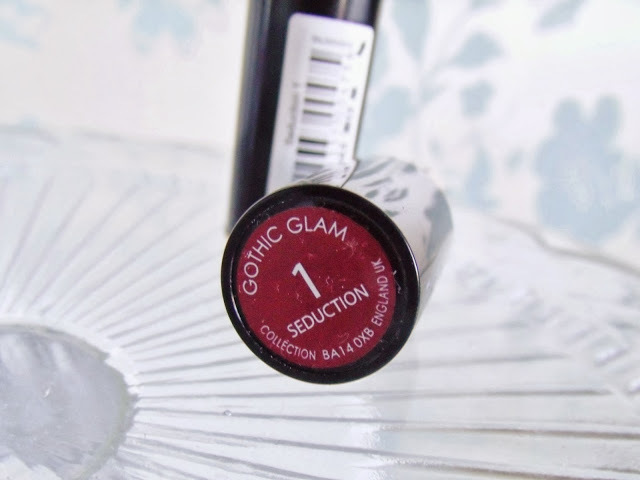 My second new autumn lipstick is the Gothic Glam lipstick in shade ‘seduction’, by Collection. 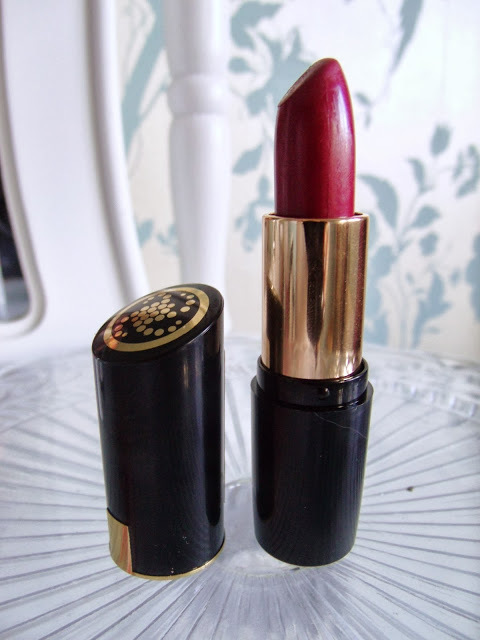 I’d not tested a Collection branded lipstick before, but whilst I was hunting for the MUA Matte lipstick, I came across this and decided to buy this one too! It’s much sleeker and smoother than the MUA one, and it has a slight sheen to it, but not sparkly. 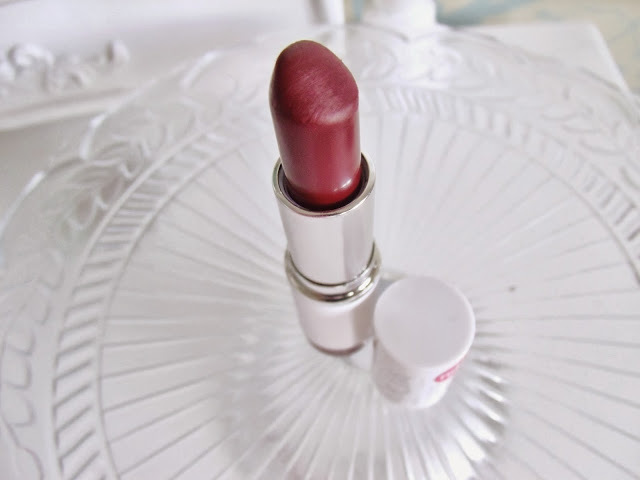 It’s a really gorgeous berry red shade and is exactly what I was looking for! But it’s probably better quited as evening wear, as it’s highly pigmented and a really bold colour. It looks really striking on, I can’t wait to wear it on nights out! I’ve noticed Collection do a few amazing looking lipsticks, including two other shades in their Gothic Glam collection, a deep purple and a darker red, and they also have a ‘deluxe’ range which looks good. I tried doing swatches on my lips to show the colour, but my camera just made them appear Barbie pink! This photo shows a truer representation of the shades; the top is the MUA and the bottom is Collection. Have you tried anything from these ranges? How was the formula/staying power of the MUA, they're both lovely shades! I've never tried MUA products, but those berry shades are so pretty!